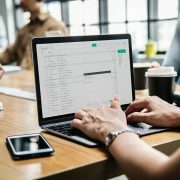 Building an email list takes time. We all know this, yet something about the allure of buying emails and trying to “beat the system” captures the attention of many companies. It may seem at first that buying an email list is a great workaround – saving you from having to build a list organically and expend money and effort into lead gen – but at the end of the day, buying lists for sale could be hurting you more than helping you. If you’re a company that’s built an email list via direct list purchasing, why should you stop doing this – and better yet, what can you do to get that legit list you’re looking for without a lot of legwork? Building an Email List Organically – Stop Buying! The minute you buy a list and execute emails to that list, you’re sending spam. Why is this? Well, 100% of the list subscribers you just purchased opted in somewhere else. They never agreed to receive promotions from your particular company. Any legit email service provider (ESP) is going to ask for your address and company information to comply with CAN-SPAM regulations. Additionally, your ESP should confirm that you built your opt-in organically to decrease the chance of spam. If your list isn’t organic, your ESP may shut down your campaigns and bounce you even after your first list send. If you’re in this situation and you just paid for an email list, you’re now out the new customers AND a way to send your emails. No bueno! How Can You Build a List Organically? For starters, you should be prepared to offer great content. A top of the funnel activity such as a blog post, a free offer like a white paper or an instructional video offers opportunities for you to build organic traffic and get customers engaged with you. The free, useful content you offer is bait and will also help you succeed organically – particularly if you use things your customers are searching for as the title of your videos or blog posts. For example, if you’re a financial planner you may use something general such as “what is financial planning?” that has a high search volume as your post or video title. Once users take the bait, they’ll see an opportunity to download a whitepaper from you. Ask for their email address to get the whitepaper – and voila, you now have their email and can advertise to them again and again without spamming. Create several funnels and opportunities like this based on the different services you provide, or different topically separated content offerings on your site. 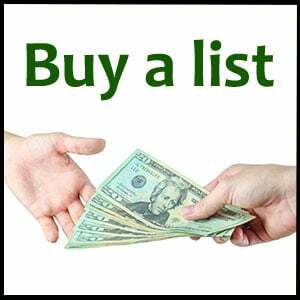 Want more info on how to build your list organically? Lead Liaison can help! We’ll assist you in rethinking your funnels, building out new campaigns and measuring them today. Let’s chat! https://www.leadliaison.com/wp-content/uploads/2013/04/Lead-Liaison-Logo5.png 0 0 Lead Liaison https://www.leadliaison.com/wp-content/uploads/2013/04/Lead-Liaison-Logo5.png Lead Liaison2014-10-16 06:28:122014-10-17 14:45:59When Building an Email List, Don’t Buy! What's the Impact of Google Caching Email Images? 3 Ways to Use Marketing Automation to Enhance your User Experience Can I Afford Marketing Automation?